Planned or unplanned, embarking on a veggie bonanza is never a bad idea! 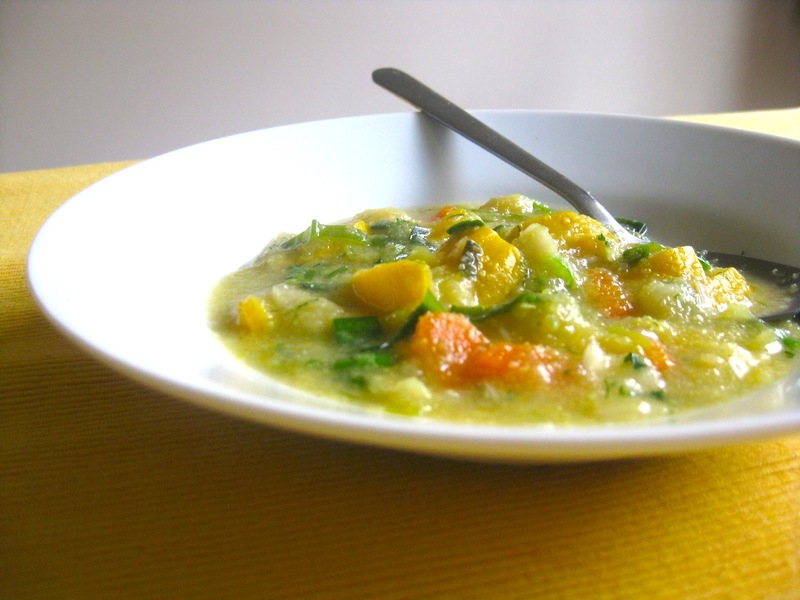 This, for me, was one of those culinary digressions where in celebration of the summer, I started making yellow squash soup and decided that another blended soup just wasn’t right for the occasion. Yes, the rain was coming but just a soup was not enough and I wanted something more substantial with chewable pieces, yet vegetarian. 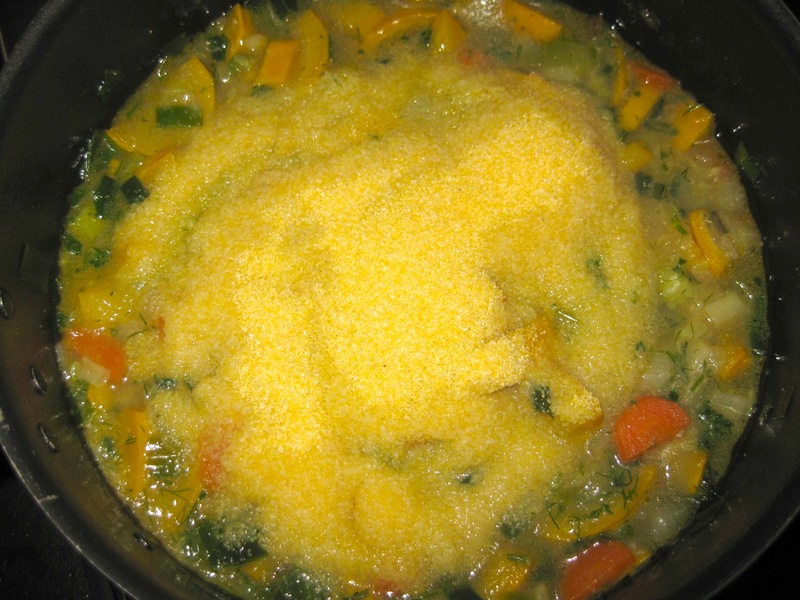 Adding polenta rightfully complemented the consistency of this dish. 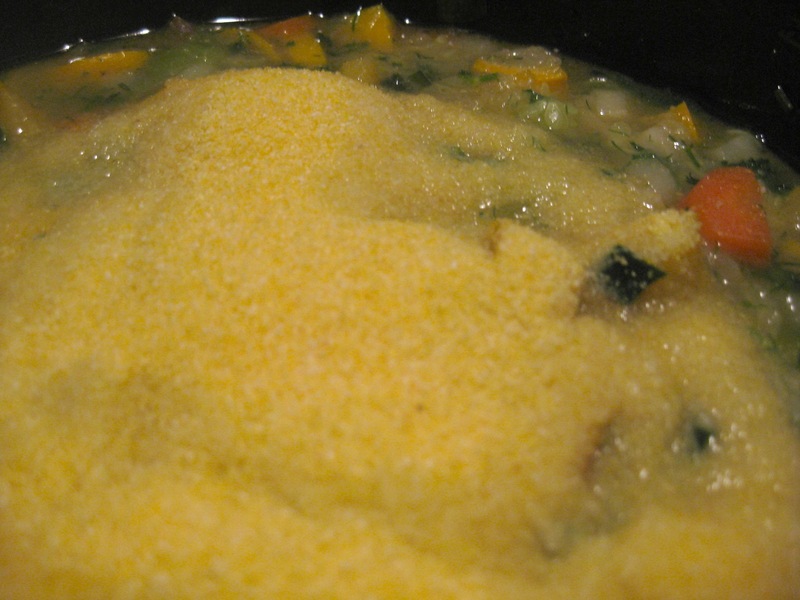 However, if you think the polenta mixed in the soup might be out of your taste radar (or cupboard) range, skip on this corny ingredient. Cook chopped onion in 3 tbsp oil on medium heat until translucent. Cover with a lid and stir a few times. Add chopped carrot and stir again. Cook for 3 min. 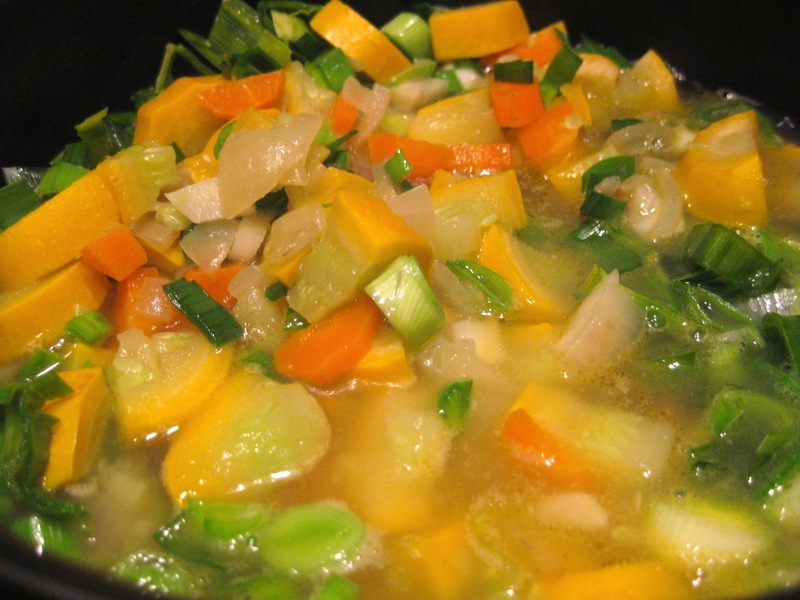 Add sliced garlic clove and chopped squash, add 2 cups of water and bring to a boil. Let simmer for 5 min. Add chopped celery and leek, cook for 5 more min, stir in bullion (either beef or vegetable is fine), salt and 2 extra cups of water. 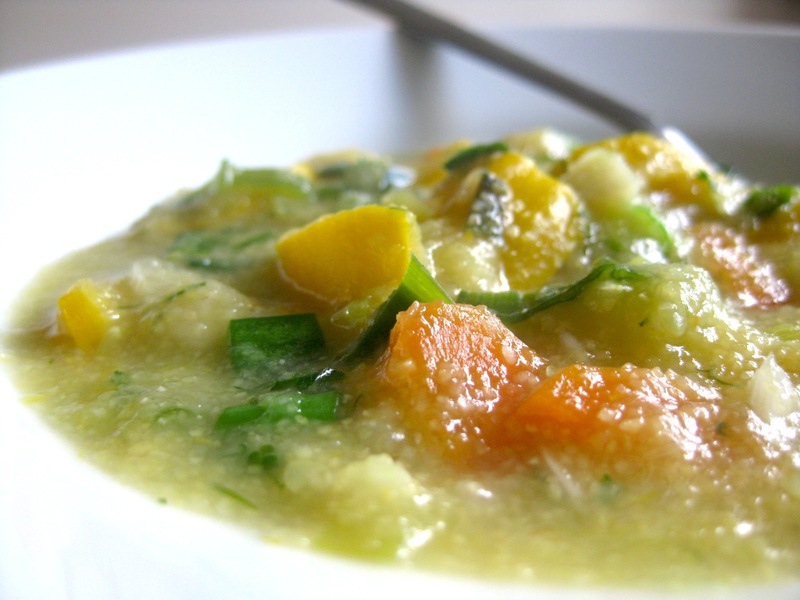 Bring to a boil,stir in polenta and chopped dill, parsley and spring onion – or any other herb of your choice – and let sit covered for a few minutes before serving. If you prefer a more liquid meal, add another cup of water, or simply eat as it is, if you’d rather have a denser consistency. Savor all these wonderful flavors with each spoonful..!